The updated collection brings in a color palette that is natural and varied in choice. The natural shades of warm mocha, cognac, taupe, quartz, grey and ice are complemented by variations of purple-red, burgundy, brick red and blue colors. With the use of tactile leather and luxurious textiles such as pinstripes, velvet, cashmere, silk, pashmina and even a hint of mink, Bentley has introduced a furniture collection that is in step with its DNA – a craftsmanship and exquisite materials that characterize the interiors of all Bentley models. Not overused yet making an appearance is Bentley’s iconic diamond pattern in a new system named Butterfly. The Butterfly system introduces two items to the collection – a sofa and an armchair. The deep, luxurious seats of the two items are wrapped in shell quilted with diamond pattern. Minster Sofa – $14,790 This simple and perfectly proportioned sofa gives prominence to material it’s made of. 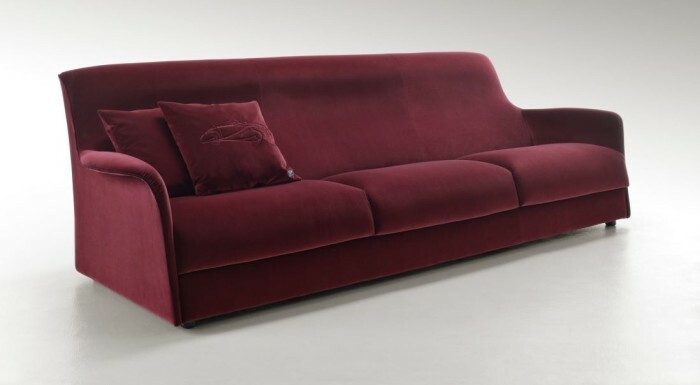 Available in leather or fabric, colorful Minster sofa come in purple-red velvet and matching burgundy velvet piping along the edges. Butterfly Sofa – $14,880 The Butterfly sofa is part of the new Butterfly system made up of sofa and armchair. Design of the Butterfly sofa associates more closely with Bentley’s current in-car interior design philosophy. 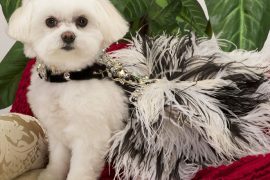 The ivory leather sofa features deep, plush seats wrapped in a shell quilted with Bentley’s iconic diamond pattern. 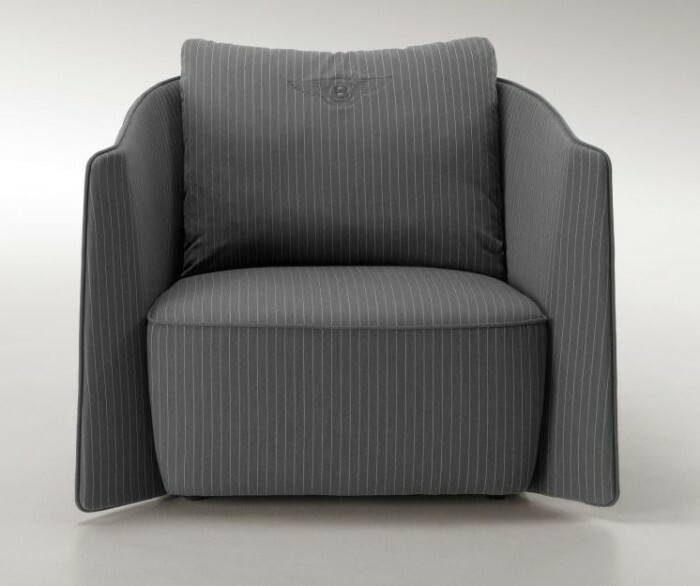 Butterfly Armchair – $9,220 Other half of the new Butterfly system, the armchair with a hint of male attire comes wrapped in stylish grey pinstriped fabric quilted in fine grey wool. 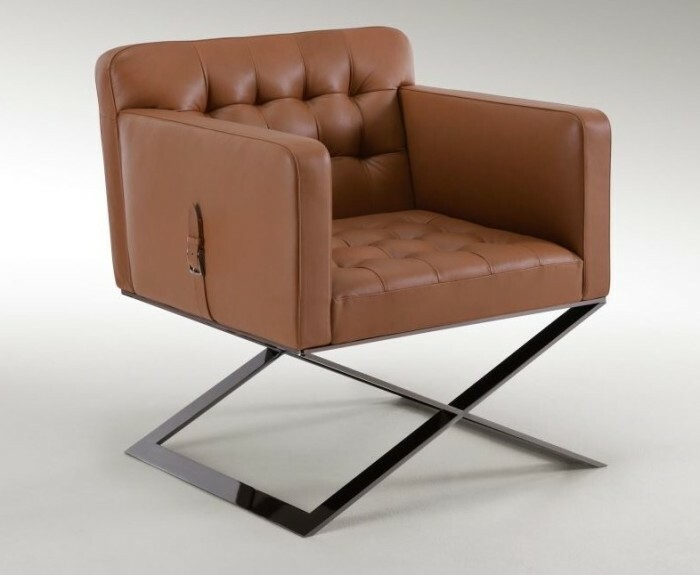 Harlow Armchair – TBD A reimagining of the iconic film director’s chair, finished in cognac-colored leather and a gunmetal frame to uphold the seating. The metal buckles with leather bands on the armrests references to typical masculine style points. Richmond Bed – TBD The bed features a unique double shell construction that nests the occupants. The shell could be wrapped in quilted leather or precious briar root, while the headboard comes lined with iridescent sand-colored satin wool. 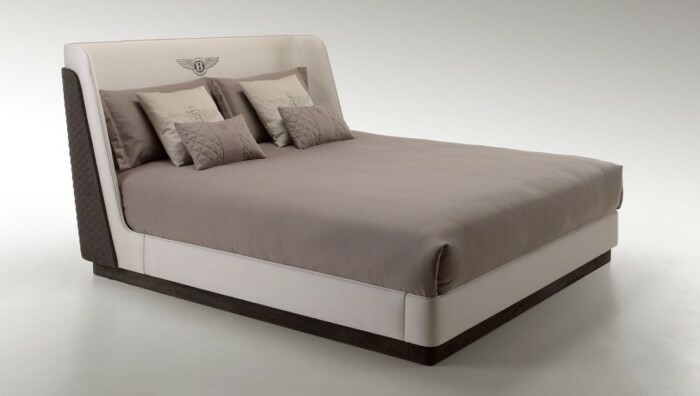 The finely embroidered Bentley logo on the headboard enhances its finish.